Hi, my darlings! 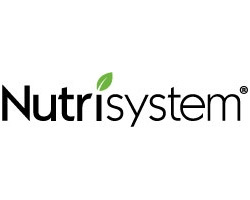 This week's Nutrisystem update is going to be short and sweet, just because I've hit a bit of a rut. Now don't get me wrong--for the most part this week. I've stuck to the program, perhaps more rigidly than weeks past. I didn't really go out this week, it was just work and home and, apart from a couple of dinners on the weekend, when I voluntarily and consciously eat off the program, I've been good. I've eaten not only the meals I'm supposed to, but I've made a conscious effort to eat the amount I'm supposed to. Well, all's well, you say, right? Sounds like I got the hang of it, you say? Yeah, well. While I'm sticking to the program, the cravings are another story! As my sister's wedding rushes nearer. I keep craving all the yummy Indian food we grew up with--not just the relatively healthier home-cooked meals but the full-fat, cream-laden, deep-fried goodness of our shared meals outside the home. You know, what it is? Stress. That and lack of sleep. 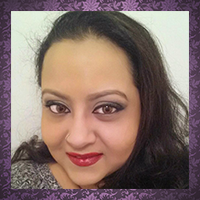 Between a full-time job and making sure I tie up any loose ends in my blogging life before I leave, the stress and fatigue is a real issue. I'm going to talk to my counselor soon to see what I can do to motivate myself and get back to not only sticking to the program, but conquering the cravings. 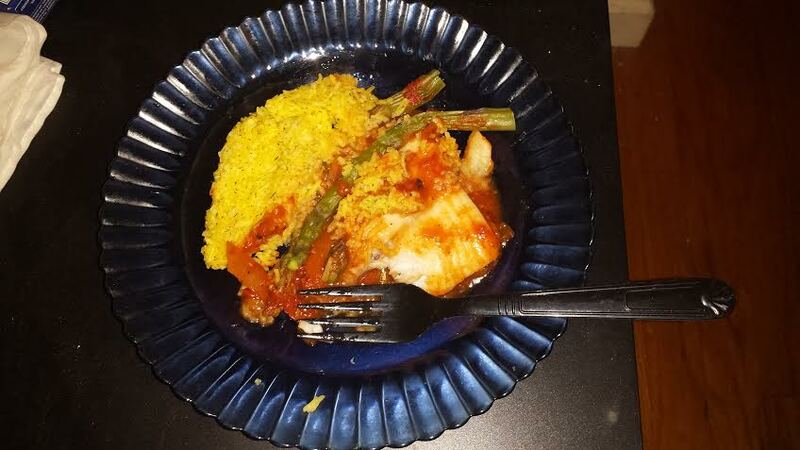 In the mean time, let me share another fabulous entree with you--I'm talking about the Frozen Select Entree Tilapia with Rice and Asparagus. Frozen fish can always be a tricky thing. How will it taste? Will it be fresh? Will it taste too fishy? Will it taste of anything at all? I have to say this fish entree was just right--fresh with flaky fish and a sauce that wasn't too sickeningly sweet (which is what a lot of fish entrees taste like to the Indian palate). 5 and 1/2 minutes in the microwave and at a shocking 170 calories, this entree is a definite winner! So there you have it, my darlings! Even seafood is not out of your reach!